GovTribe has live updating databases of Contract and Grant award and spending information. The data is synced to the definitive government data sources on a daily basis, and is comprehensive back through the year 2000. 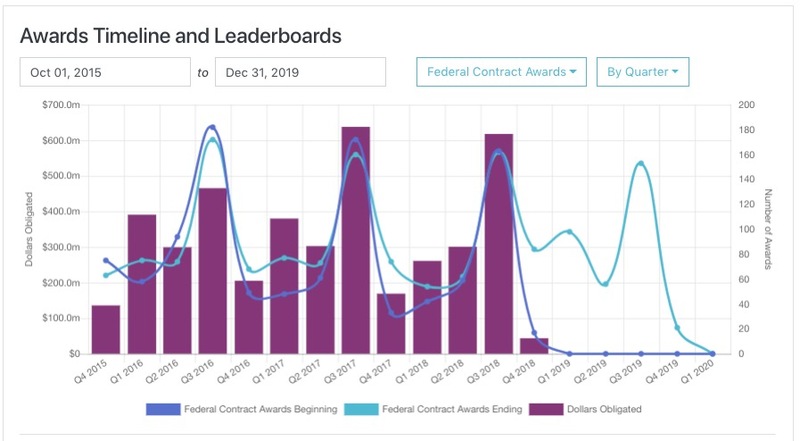 So, in addition to being able to look up the details on a specific contract or grant award, you can use this data to understand trends and performance in entire market segments. And, crucially, you can define what those markets segments are. One of the most useful tools for doing this is the Reports view of the Federal Contract Award or the Federal Grant Award search pages. For the remainder of this article, I will explain how to use Reports on Federal Contract Award search, but it works the same way with Grant Awards. When performing a market analysis for federal contracts, you begin on the Federal Contract Award search page. You'll note in the Awards section of the side menu that there are three search pages for Federal Contracts - the other two being IDV Awards and Vehicles. To understand the purpose of these search pages, I recommend you review this article that explains how federal contract award data is organized. Suffice to say, though, that the Award search page is where the spending information is, and as such where analysis of spending trends occurs. A market segment is defined by the filters you set and/or any keyword searches you enter on the Award search page. 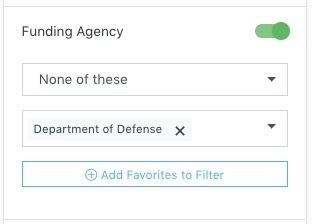 For example, you could set an Agency filter for all civilian (non-DOD) agencies like this. Note the use of None of these to exclude DOD. 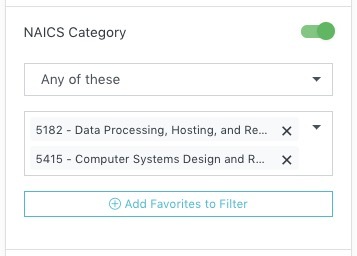 You can filter to all IT services-related work using NAICS categories 5415 and 5182. 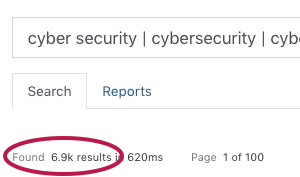 This market segment has just under 7,000 contract awards associated with it, which you can scroll through on the default Search view if your Awards search. To view a summary of the market segment with visualizations and useful analytical tools, click on the Reports tab. The Awards Timeline is a combination column and line chart illustrating the award and spending trends for the markets segment you've defined. In this graph, the purple columns show you the total dollars obligated during the indicate period of time. The dark blue line shows the number of new contracts awarded during that period. And the light blue line shows the number of contract awards that ended during that period. The periods illustrated in the chart pictured above are quarters. 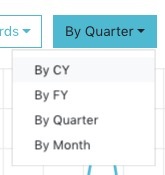 However, you can change the scale to monthly or annual (FY or CY). 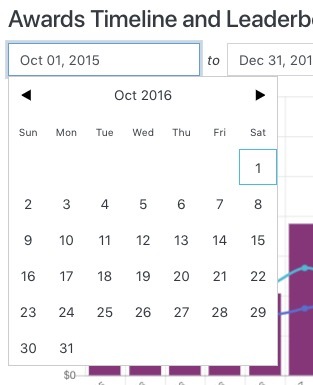 You can also customize the time period using the date selector in the upper left of the chart. The Leaderboards section of the Reports view is where you can analyze the market segment more deeply. It allows you to aggregate the data associated with your defined market segment using whatever metric is useful for you. Put simply, it displays a list of the Top 10 (up to the Top 50) of ... anything. The default configuration of the Leaderboard is Top 10 Vendors. 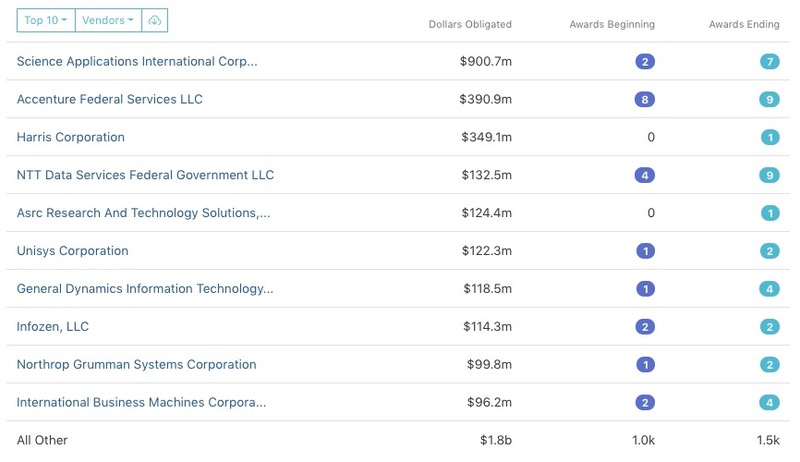 If you want to, instead, view the top Agencies who are spending money in this market segment, or a breakdown of spending by NAICS codes, or a list of the top Set-Asides, or a list of the top government contracting officers, (etc.) you can click on the button that says Vendors in the top left of the Leaderboard. It will display a list of all the meta data elements around which you can analyze your defined. market segment. And if you want to see more than the Top 10, you can toggle that drop down as well. And, finally, all of the leaderboard information is exportable to Excel using the download button, also in that same area. Using the Leaderboards, you are able to quickly understand who the players are in any market segment, what kind of work is being performed, what contracting mechanisms are being used, and how many contracts make up each subgrouping.